John Rushby is a Program Director and SRI Fellow with the Computer Science Laboratory of SRI International in Menlo Park California, where he leads its research program in formal methods and dependable systems. 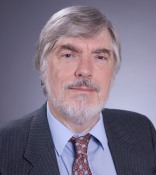 Dr. Rushby joined SRI in 1983 and served as director of its Computer Science Laboratory from 1986 to 1990. Prior to that, he held academic positions at the Universities of Manchester and Newcastle upon Tyne in England. He received BSc and PhD degrees in computing science from the University of Newcastle upon Tyne in 1971 and 1977, respectively. His research interests center on the use of formal methods for problems in the design and assurance of safe, secure, and dependable systems.